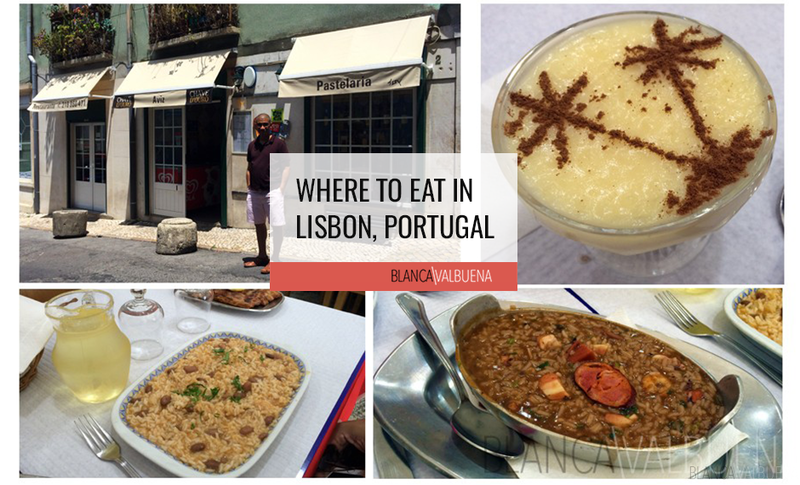 This is one of many repeat visits to Lisbon, Portugal. 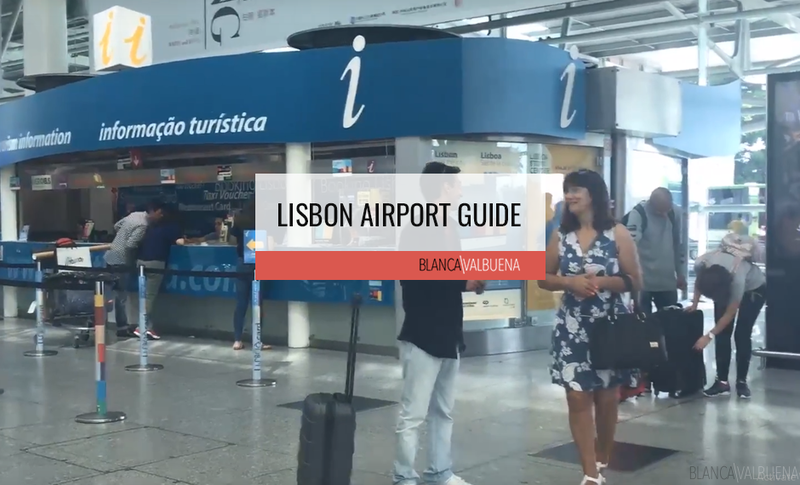 Since Antonio and I had already stayed in Castelo, Principe Real, Amoreiras and Alfama; we figured this time we’d try out a different neighborhood. Since we liked Mercado Da Ribeira so much, we decided we’d stay nearby and chose Santos-o-Velho. 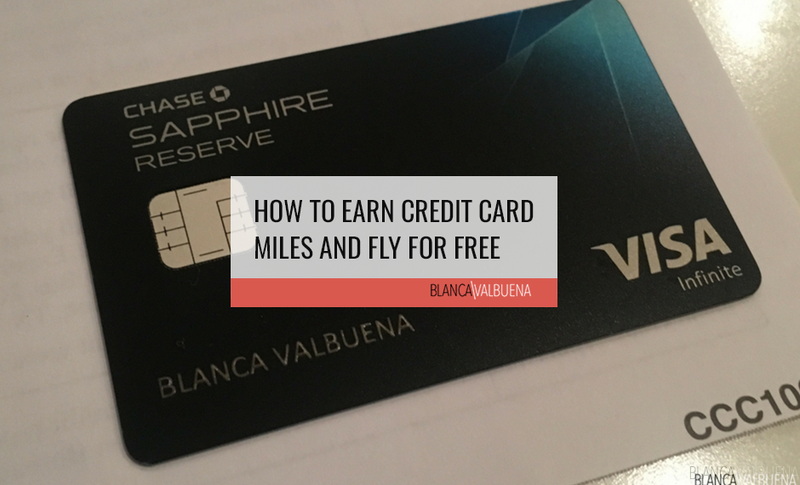 There are tons of things to do in the Santos neighborhood, but you need to understand it before you decide what to do here. 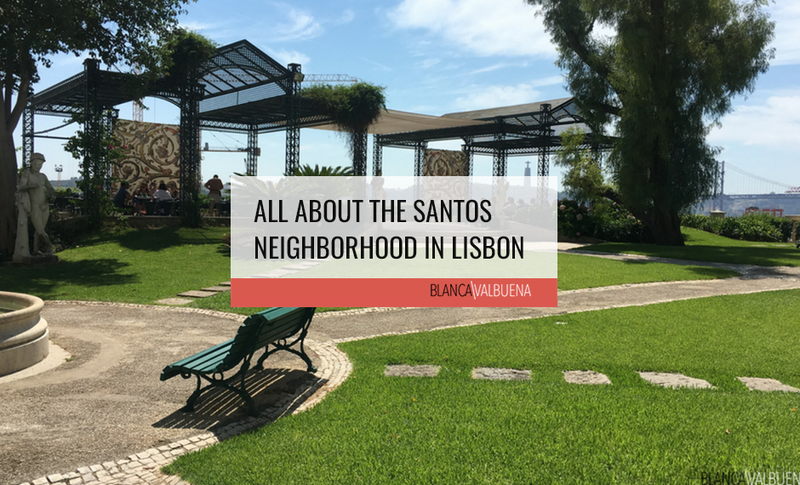 We read somewhere that Santos was a party neighborhood, but I can tell you that it is not anything like Bairro Alto (I would not recommend staying there unless you plan to party all night and sleep all day). Santos is a true Lisboeta neighborhood. 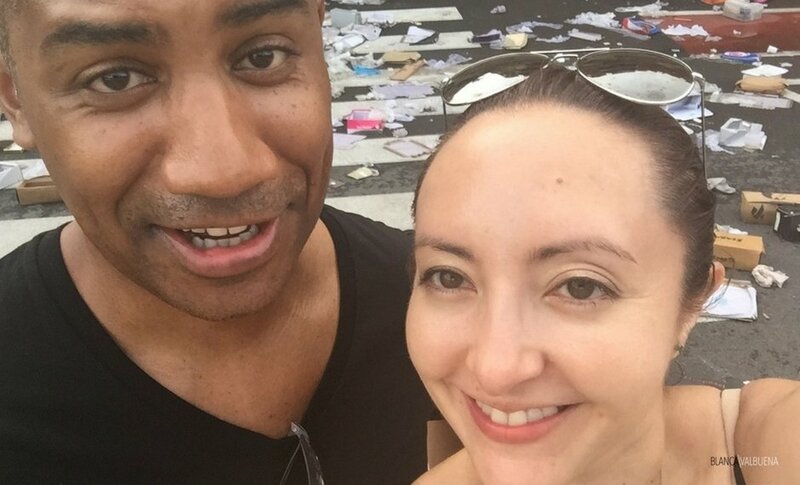 I am pretty sure we are the only tourists on the block. Yes, there are lots of restaurants and things to do, but this neighborhood still feels Portuguese. 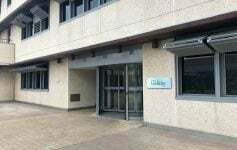 I think the misconception comes in because IADE, the institute of Visual Arts, Marketing and Desing is located, so people assume that students nearby mean a party. And, yes there are bars, but this is not where the rowdy, loud and obnoxious tourists come to be drunk off cheap liquor all day. This is where you find a nice wine bar, grab some petiscos and walk home with your loved one walking hand in hand. Santos is also one of the oldest neighborhoods in the city. 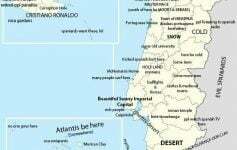 It’s actually called Santos-O-Velho (Santos, the old). It’s officially a micro neighborhood since it was absorbed by Estrela, and often confused with Lapa. There are some gorgeous churches, narrow streets, cobblestoned hills and museums. 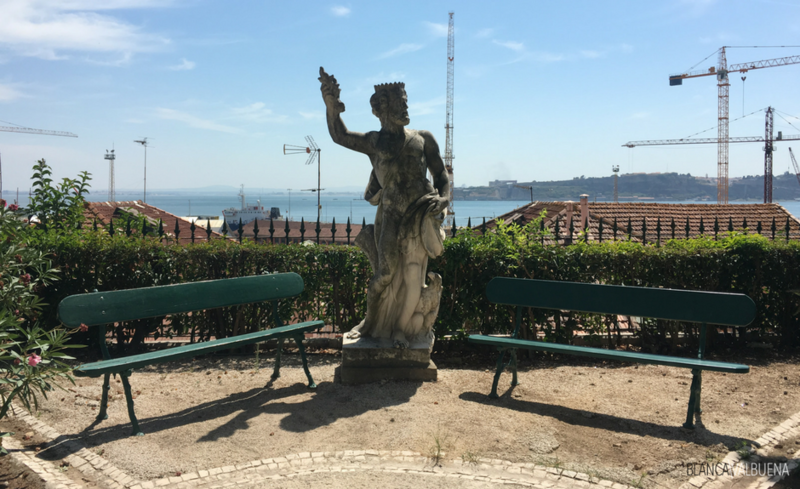 Lisbon’s Museum of Ancient Art is one of the things to do in the Santos neighborhood you should not miss. I went twice because I underestimated their collection. It took me 5 hours to enjoy the museum (for most people I would recommend 2 hours – I went to school for art history, so I’m kind of an oddball). 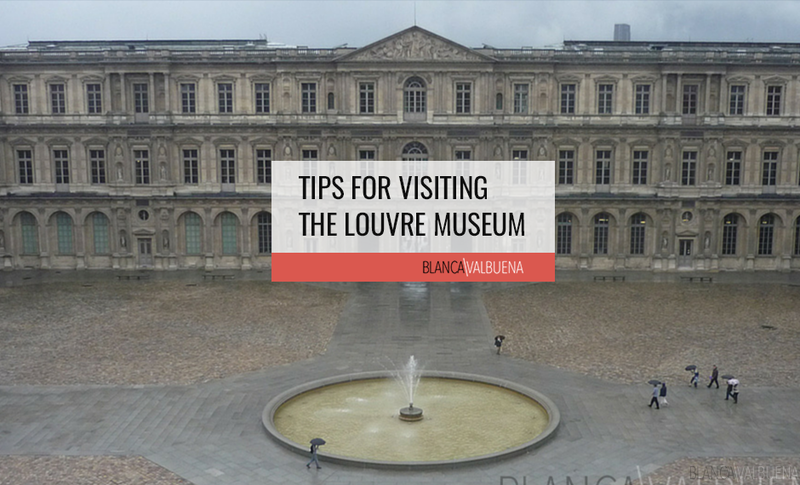 When you walk into the museum, take the elevator up to the top level. This is their Portuguese collection of fine arts. What I really loved was how the curators explained the influences of other countries on Portuguese art and vice versa. The second floor is decorative arts, and the first floor is European art. When I visited they had a special exhibit of the art that is usually in storage. Kudos to the team there for this fantastic expo. One downer – no audio guide – which IMHO every museum should offer. One perk – free wifi. The museum also has a GORGEOUS garden where you can enjoy a very affordable lunch. It overlooks the 25th of April bridge and Cristo-Rei. 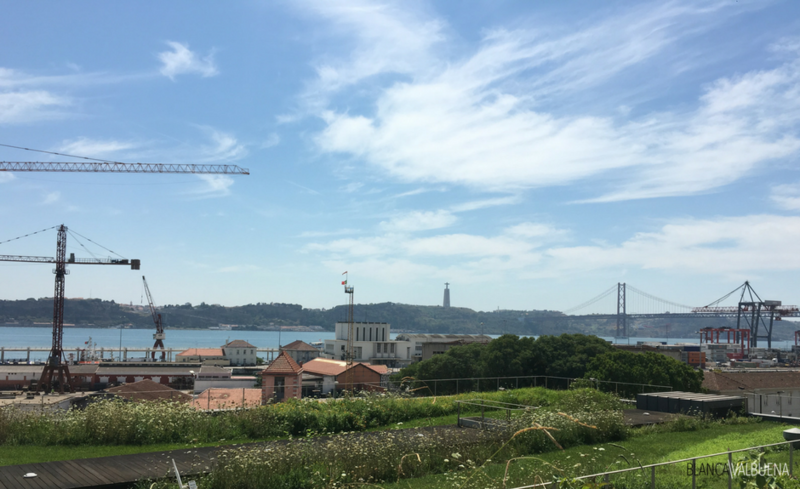 For eating in the immediate area (if you don’t want to eat at the Museum), check out Le Chat (incredible views – right next to the museum) as well as Picanha (about a block away). This is one of those quirky fun museums you will love. It is homed in what used to be the Convent of Bernardas so the building in itself is gorgeous. 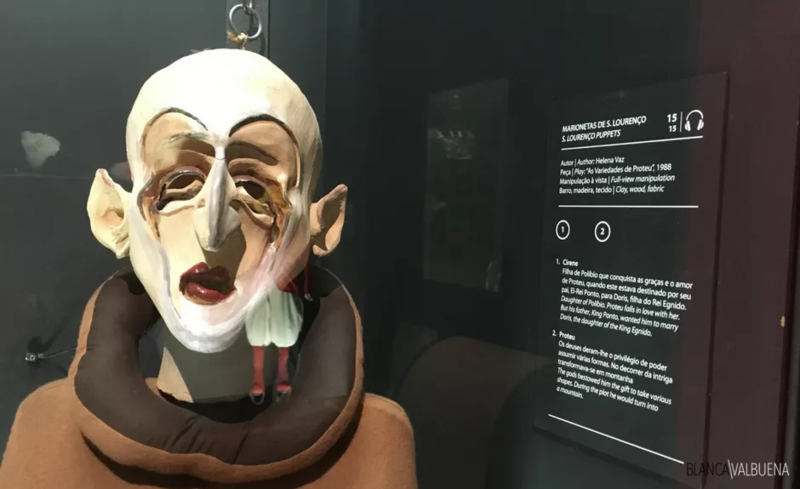 The museum is totally dedicated to puppets and marionettes, their history, and ends the focus on Portuguese artistry. They do have marionettes from all over the world. Unlike the Museum of Ancient Art, this one does offer an audio guide (in English) which is included in your cost. 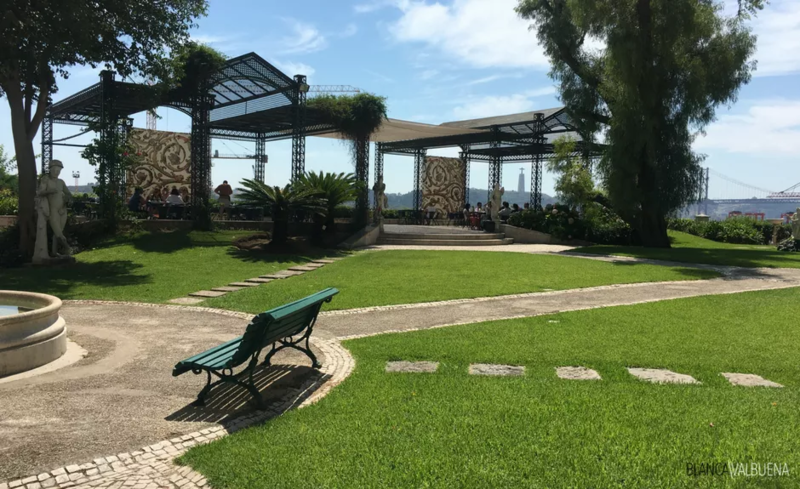 There are tons of amazing restaurants near the Museu da Marioneta including Restaurante O Caldo Verde (traditional), Petiscaria Ideal, Pratinho Feio, and Frades dos Mares. While not the grandest, the Church of Santos-o-Velho is rich in history. The church sits on the burial site of three people; São Veríssimo, Santa Máxima, Santa Júlia who were killed by the Romans in 308 when Diocletian was in power. The story says that when they died their remains were left out so dogs and birds would eat them…but their bodies remained untouched. The original structure was destroyed, and the current structure came up in 1147 by Dom Afonso Henriques. The church was updated in the 17th Century by architect João Antunes. It is he who brought in the frontispiece which covers the original Medieval facade. He also added the towers that are seen from outside. 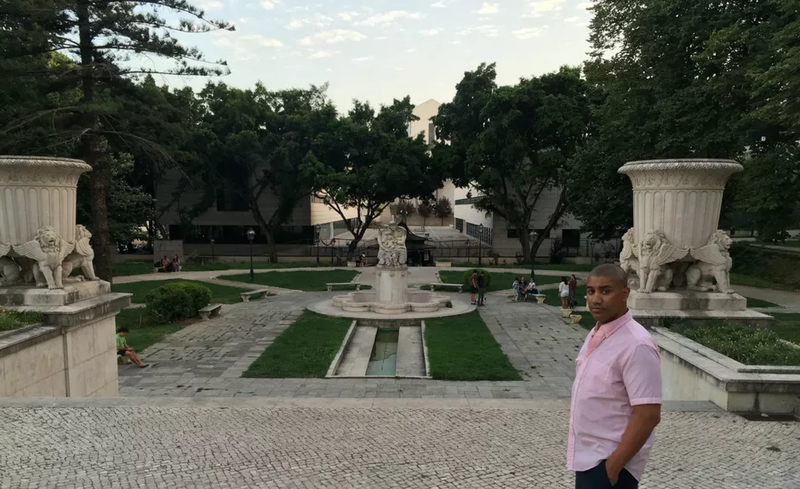 I found out that the church and the convent were sold to the French state…the reason why the convent (Palacio do Santos) now houses the French Embassy. When you go to the church, check out the tomb of the Abrantes damily and the tomb of the child martyrs. What is now the York House was the Convento dos Marianos which was founded by Barefoot Carmelite Ambrósio Mariano in 1581. The site was chosen because of the martyrs mentioned above. The convent, dedicated to Nossa Senhora dos Remédios, was built with money that came directly from Philip the 1st. The convent did well until 1830 when a law enacted by Joaquim António de Aguiar who enacted a law to close any houses of religious orders. This earned him the nick name “Mata-Frades”, the Friar killer. The building was abandoned and repurposed in the second half of the 1800’s until it became the studio of Gaspar José Marques, an inventor. Founded in 1836, they now recreate tiles from photographs. It’s a fantastic place to visit to bring a souvenir home. Here they make tiles in 3 different ways: the mark (paper with open design), silkscreen, and hand painted. A quick note, don’t buy antique tiles on the street or flea markets. Unscrupulous sellers will rip them off of houses, so only purchase tiles from shops like this one where they make replicas. This cute kiosk is located right at the border of the neighborhood adjacent to the Fountain of Hope (which is gorgeous). It’s been open since 1986 and they often have live music at night. Stop by any time of day for a tasty inexpensive beer, snacks, and when there are futbol games, you can catch them there. It’s a chill spot and a way to do as the locals do. Ok, this is officially outside of Santos, but if you cross the street you’re back in the neighborhood, so I decided to include it. This little park is gorgeous. 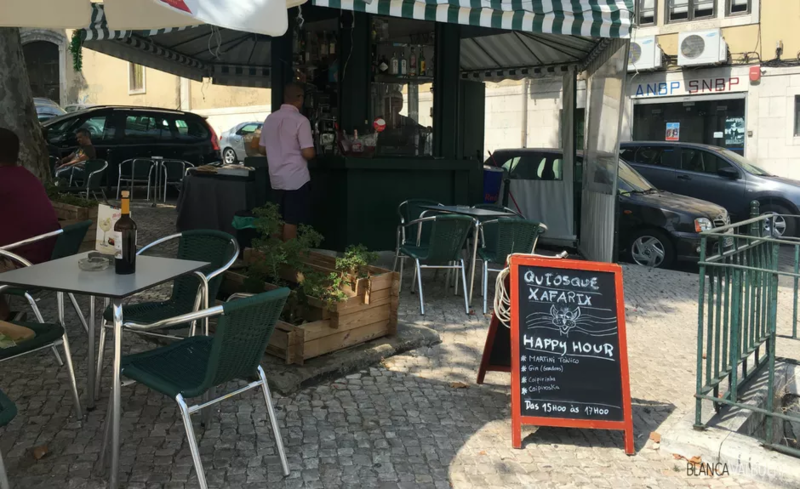 While it is not a Miradouro, it does enjoy a great kiosk (Quiosque de Sao Bento) where you can enjoy a beer and a really good burger. There’s also wifi, so on a nice day you can grab a seat and get some work done. 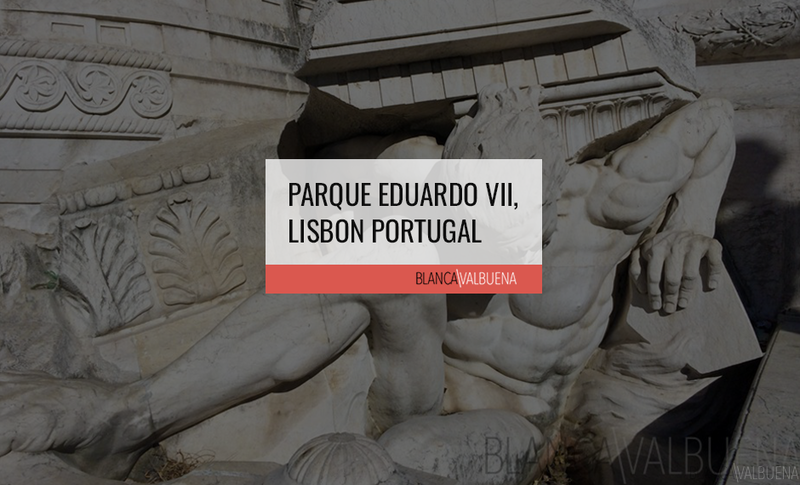 It’s right next to the Assembly of the republic and is home to Leopoldo de Almeida’s sculpture called Familia. This is a great place for both people with families, kids as well as people just looking to grab a drink. 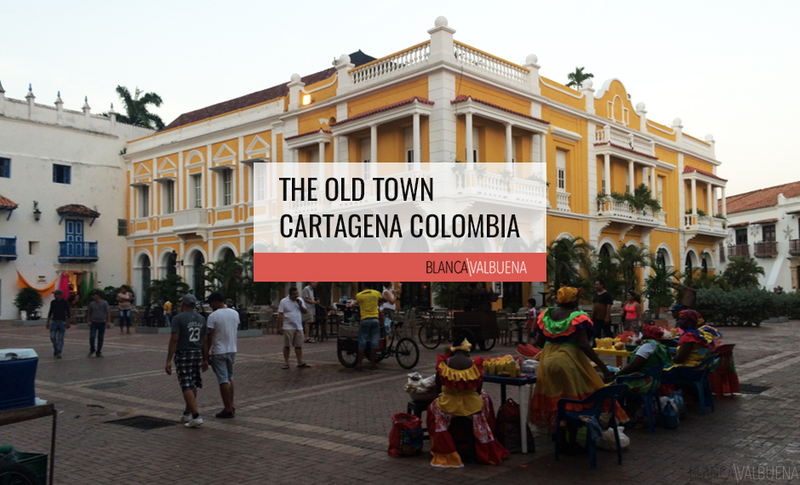 This is the place to stop being a tourist and do as the locals do. It is said that Queen Maria I had the church built as a deal she made with God. She wanted to have a male child who could become king. In exchange for this favor, she would build the most beautiful church that ever was. 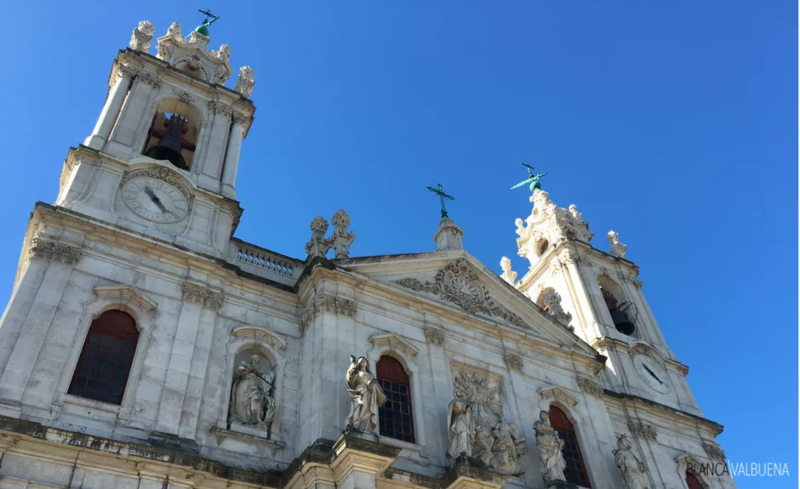 The neoclassical church project was undertaken by architects Mateus Vicente de Oliveira and Reinaldo Manuel in the Baroque style with a Latin cross plan and a single nave. The façade’s main features are its triangular pediment and bell towers. If you visit now, look towards the altar. Queen Maria is buried in the massive marble crypt. Look to your right. See that tiny sliver of space? Sneak in there and go through the doors behind the crypt. There is an incredible manger scene there. Mangers are a Portuguese tradition – when you go to the Museu de Arte Antiga, you will see some gorgeous examples. It will cost you 1.5o to check out the manger and they have tons of information on the church and the manger in all different languages. Once you’re done with the Cathedral, cross the street and walk in the gate. You will be in the 19th Century romantic style Jardim da Estrela. The 5 hectare park features two kiosks where you can grab a drink and some light food, as well as another that is for books. It is incredibly well designed and has plenty of spots you can get lost in. As you walk you will see the wrought iron gazebo and imagine live music emanating from its structure. 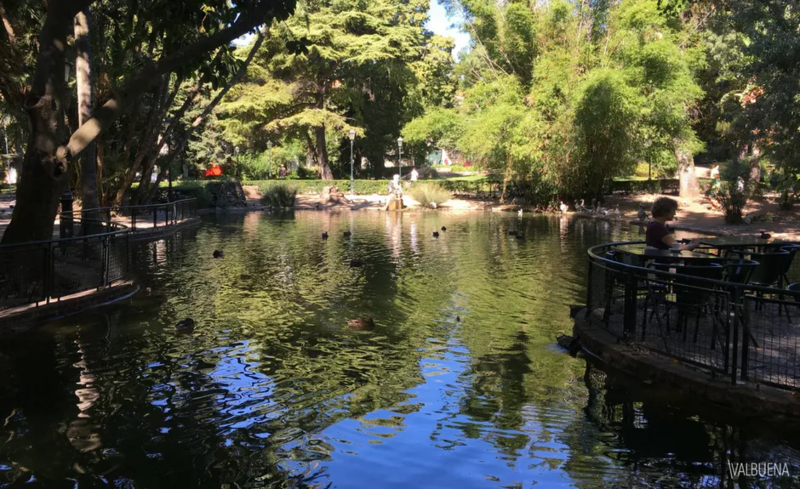 Then you’ll run into a pond where ducks and peacocks roam. Go and give yourself time to enjoy this lovely park. Then head to the English Cemetery where writer Henry Fielding is buried. 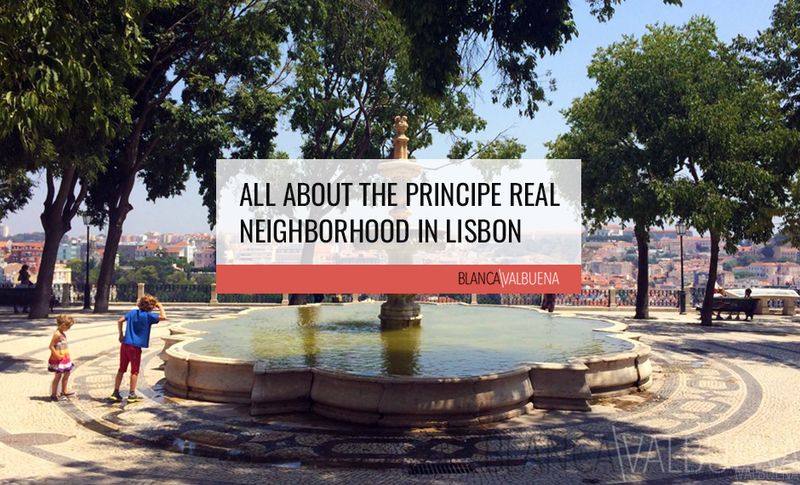 This park reminds me a lot of another favorite, the park in the Principe Real neighborhood of Lisbon. Trains: Santos or Cais do Sodré station: Take tram 15E and 18E or bus here. The neighborhood is just a 5 minute walk from here. Good stuff! Don’t know if I’ll ever make it to Lisbon but I’d love to see that church … It looks magnificent! The garden looks peaceful too! Continue to be inspired! I would say that this is the one place you should absolutely see Leu. Your boys would LOVE IT!